The ladies of Marian Rae Publications are at it again. You may remember earlier this year when Shannon Cook and Jane Richmond released their first collaboration, ISLAND. Well, they've teamed up again and have come out with JOURNEY, which is just as stunning and thoughtful as its predecessor. Jane mentions in her introduction that she and Shannon have very different design aesthetics. And it's true -- but somehow they've played off each others strengths in this collection and have put together six designs that meld seamlessly into one another. Being a big fan of both designers, I can tell which designs belong to which, but they all work together so well - this is the true nature of collaboration. 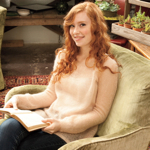 First up, cover girl, Onward, a worsted weight shawl in a simple and stunning stitch pattern. And another garment, Inland, a cardigan with amazing details like the angled pockets and ribbing going up the sides. Wouldn't you live in this? And finally, Climb, Jane's take on the classic hiking sock. Love. JOURNEY can be purchased in either hard copy or e-book form via Ravelry or the Marian Rae Publications page. 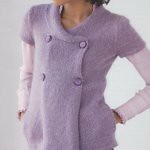 Patterns can also be purchased individually through their Ravelry pages (linked above) -- but you truly won't be sorry if you go for the whole deal. I really didn't think Jane and Shannon could outdo themselves after ISLAND...but they may have done it. 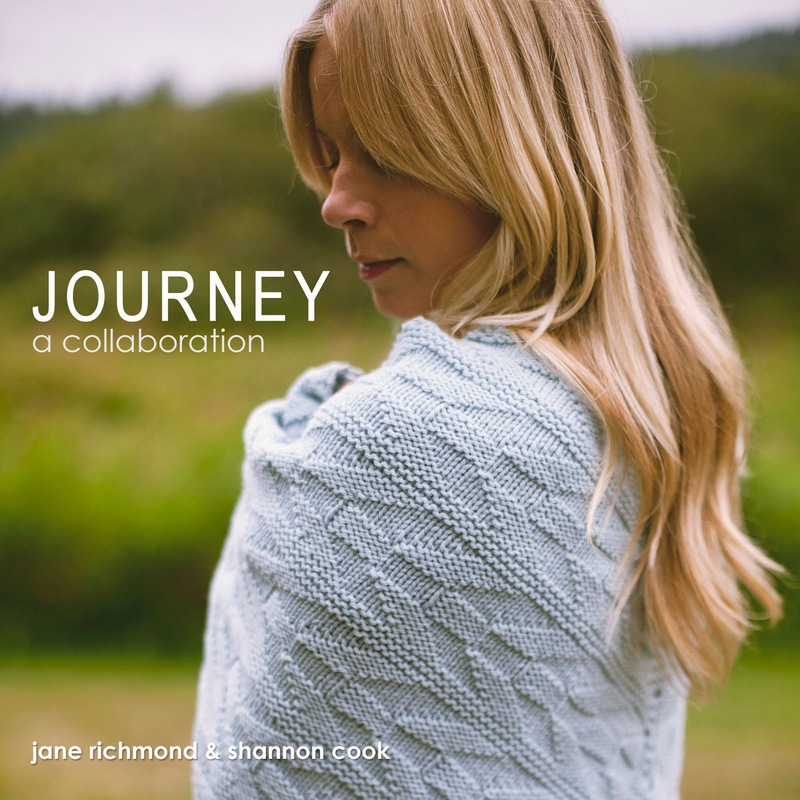 AND you may have noticed the word "giveaway" in the title of this post....well, Jane and Shannon have generously offered up a copy of the JOURNEY e-book to one lucky Yarniad reader. 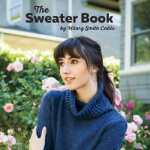 Simply comment on this post telling me a) your favorite pattern from the book, and b) a place to get ahold of you (email, Ravelry ID, etc.) by next Monday, December 9th at 11:59pm Pacific time. I'll draw a winner next Tuesday. Good luck, and I hope you enjoy whatever sort of journey you happen to be on this week! I'm in love with Antrorse. I've already purchased yarn for it... The whole collection is great though, and it works really well together. I love the Spate Mitts!! They look so cozy! I love love love the hiking socks! Basic, but adorable. Oh, climb. Those socks. Delightful! Three way tie between shawl, hat, and mitts? If forced to choose, I think I favor Onward. It's tricky to find textured knits that aren't cabled (much as I love them), so I have a lot of respect for anyone who can create such a dramatic looking design without using any cables. I love the shawl, but Antrose is just fabulous! It's hard to pick, but I'd love to knit up a cozy Inland! I love this entire collection! I think the pattern I like the most is Climb, but Swift is a pretty close second. The Climb socks for sure, they look so cozy! Spate fingerless mitts are my favourite. They look SO cozy! My favorite is the Spate pattern for fingerless gloves. My favorite is the antrose! My favourite is Onward . .so pretty. I love the Spate fingerless mitts as a starter, but all the others look great to knit and wear as well! I love Climb! Such a fan of classic sock patterns. I adore Onward, although all the patterns are lovely. I can imagine myself spending the entire winter with it snuggled around my shoulders. Sign me up for Onward and Spate. I love the stitch patterns in both of them. Thanks for encouraging me to take a look at those patterns. I love all the designs!! So I'll go with the first one I'd knit up. I'd first knit up the onward shawl, next would be spate and swift :-). I would and will knit up all the designs because I truly love them all!! Which is awesome when its a book :-). Thank you for the chance! I love the Antrorse sweater. I want to cast it on now!!! I think Onward is my fave, but I love the socks as well. All the designs are lovely! One of my favorites is Swift. I love "Climb"...I have actually purchased the yarn for it...not I just need the pattern! I love every design, but the Climb socks were what first caught my eye! That Swift hat is beautiful! Onward and the Climb socks are my favorite ! Antrorse! I am plotting what yarn I need to make this, it is so gorgeous. I really like Onward. I go from hot to cold really easily throughout the day, so it's nice to have something cozy yet stylish that I can whip on and off easily. Thanks for the giveaway! Ohhhh!!! I love Swift and Spate…I just can't choose between the two! But you'd have to take me shopping for the right yarn for both…Hey, that's a great idea!!! Let's go on a yarn-buying field trip!!! The Inland is absolutely beautiful! I love Onward so much! I love Spate. 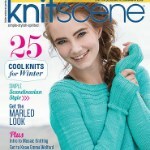 I knit Beacon Hill and I love the stitch pattern! Those mitts! That cardigan! But really the whole collection is gorgeous. The mitts and the shawl are my favorites, I always have a shawl on the needles and this one would be a lovely addition. The fingerless mitts are just gorgeous! I love the Antrorse sweater! I love the Spate fingerless mitts. Thanks for the chance to win the eBook. I love all the patterns, but with my yarn budget, I'd love to make the "Climb" socks. I love the spate mitts. I'm expectingsam on rav. I'm loving Climb and Inland! I must get those patterns! It is a tough pick between Antrose and Spare totally different items but warm and cozy. Just found your blog from Jane's-love it! All of the patterns seem great--Onward is lovely-would surely cozy up in that. It looks like such a gorgeous book! I have to say, I just love Antrorse - it looks so cozy! Thanks for the generous giveaway. I would love a copy of this book! Wow, what gorgeous patterns. The spate mitts are beautiful! Thanks for the inspiration. Also thank you for your kind comments on my blog, made my day! Take care! I am loving Spate, the fingerless mittens! Oooh, how lovely! I'm fawning over the Spate mitts-- they look so warm and smooshy, and I love the turned-down cuff at the top. 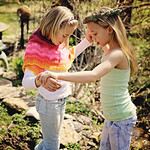 I'm sunshineravioli on Ravelry. I think Antrorse is gorgeous! The photos make me want to knit socks. It would be my first. I'm in love with the simple, classic socks! Thanks for the giveaway. I would begin with Spate. Difficult, but in the end Onwards is my favorite. I am Kucki68 on Ravelery. I have to pick a favorite?! Too hard. I guess the first one I'd knit would be Swift, but I'd have to make several, so one could be for me in the end? Very hard choice. I would have to say swift, but they all are wonderful. 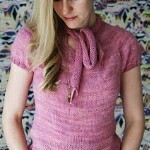 Hutch on ravelry. Antrorse. It looks so cute and cozy. Love all the designs, but the first I would knit would be the hat, Swift. Spate and Swift. 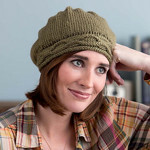 And I have just the yarn fora slouchy hat like Swift, which my daughter has been begging for. Thanks for sharing. 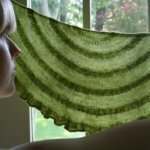 I'm gloriaal on ravelry. I've been on such a sock kick lately, so I'd have to say Climb is my current favorite. Although I could see myself knitting all of the patterns. My favorite is the Spate Mitts. Thanks! I have to admit I love Climb. 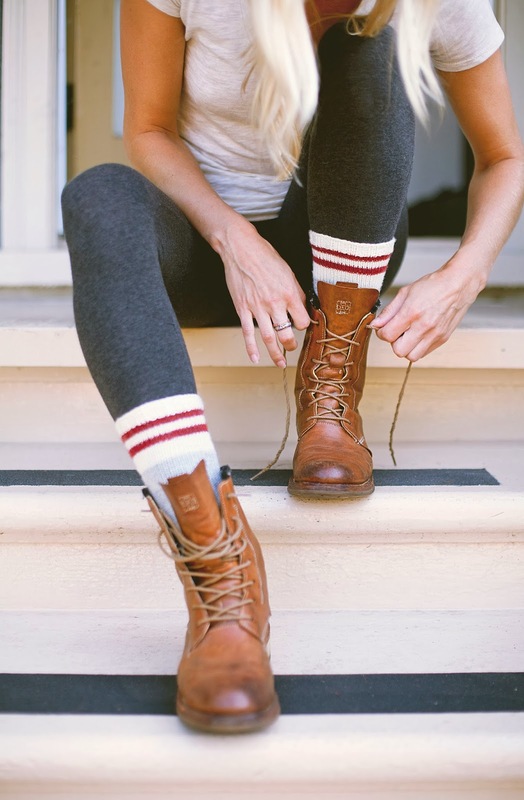 The socks would look really cute with my hiking boots. My rav name is janineny2001. I have the perfect yarn for Antrorse! What a beautiful collection. I love how unusual the Antrorse sweater is. looks super comfy. Also really like the Camp worsted weight socks. My favorite would be Onward! I'm torn between swift and spate. Guess I'll just have to knit both! It's a difficult choice, but I love the Climb socks. I'm in love with Onward, and also see an Anthorse and Spate in my near future. Antrorse. And Climb. Yes, the whole ensemble (boots too!) is perfect! I think they all look good but the cables in spate make it my favorite. I'm torn between the socks and the gloves! I must knit the mitts. Thanks for the chance. 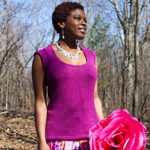 I am keshaevans on ravelry and keshaevans[at]outlook.com. Antrorse looks so cozy! It will be mine!! I can't decide between Inland and Climb. I love them both! 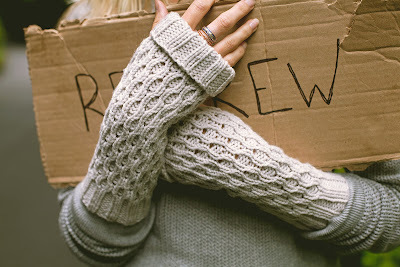 I love the coziness of the Onward shawl, although I suspect my toes would appreciate those comfy socks too! Spate! I love the Renfrew pattern so the combo in the picture is such a statement. Acmcgowan = ravelry name - Thanks! My favorite pattern is the pullover sweater, but since I'm a beginner, I'd start with the hat. Thanks so much for the chance to win! i want to make the Onward shawl! its gorgeous! 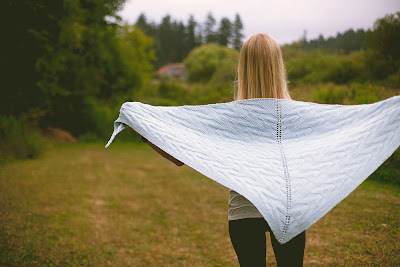 My favorite pattern is the beautiful shawl! Thank you for the giveaway. I just love the Climb socks - so simple and classic. So many great projects, it's hard to choose where I'd start. Probably with the mitts, that way I'd actually finish them and then it would motivate me to try something else. Amazing. Thanks! I've knit just about every pattern in the ISLAND collection and I can see myself doing the same with this new collection of pattern. My favorite is the Onward shawl. I would love a worsted weight shawl. My favorite (really just one?!) is inland. I actually bought the yarn for the cardigan while on thanksgiving vacation. I was in an lys and there was a huge bag of yarn sale..i quickly pulled up rav, searched the weight of yarn and yardage and up popped inland! I love the Antrorse Sweater, just the right accents in just the right places! Swift and Climb are the 2 favorites. This book is beautiful...would love to win it! I love the textures in the Onward Shawl. I love all the patterns in this book, the ladies did an excellent job. First up for me wold be SWIFT. I love this hat and think it is doable for me. We are also in a deep freeze so pretty cozy hats are in order around here these days. Happy Knitting!!! I want to make everything, but I would probably make Swift first. Love that pattern! I'd start with Climb, and then work my way through all of the patterns! I absolutely love Swift. It's perfect! These patterns are beautiful! My favorite is the Onward shawl. I can see myself wrapped in its loveliness. 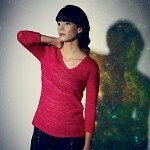 I'm dogstar911 in Ravelry. Thanks. Socks are my current passion so Climb is at the top of my list. Thank you for participating the giveaway. I love all the patterns! I think I would start with the Onward Shawl. The Spate fingerless mitts are my favorite, but they're all very knittable. Trying to decide between the shawl and the cardigan! Hard to pick just one but Onward on the cover just knocks me out. Thanks much for the giveaway! I love antrorse! It looks so cozy! I love Antrose! It's definitely being added to the queue. 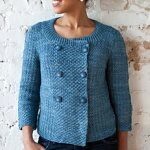 Antrorse is so lovely and looks fun to knit and so cozy to wear. They are all so fabulous though! Ooh! I love the mitts. Great designs! I love the texture on the Spate mittens.